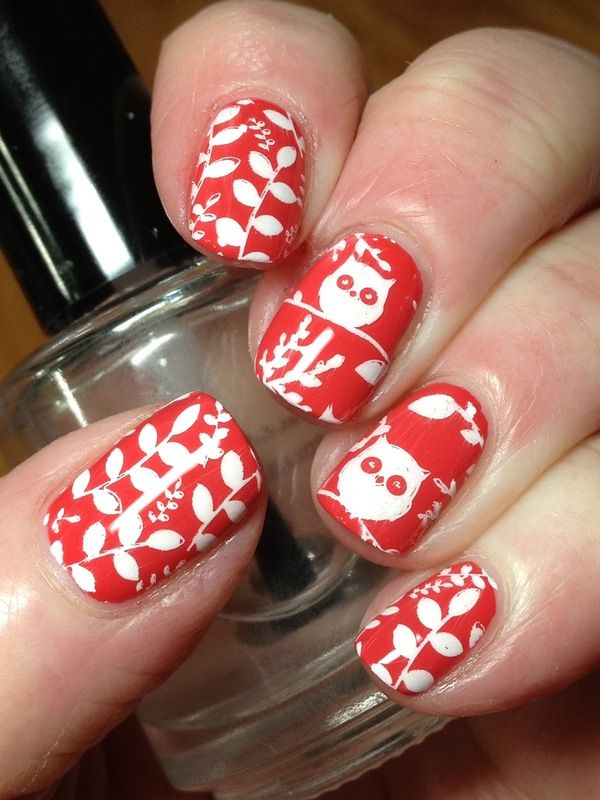 Here's another mani using Lesly LS52 which was shared last time. Not overly happy how this turned out; maybe its just too simple of a mani or not overly exciting. But they aren't always fantastic and who knows; someone might be inspired by this! Here's what I came up with! 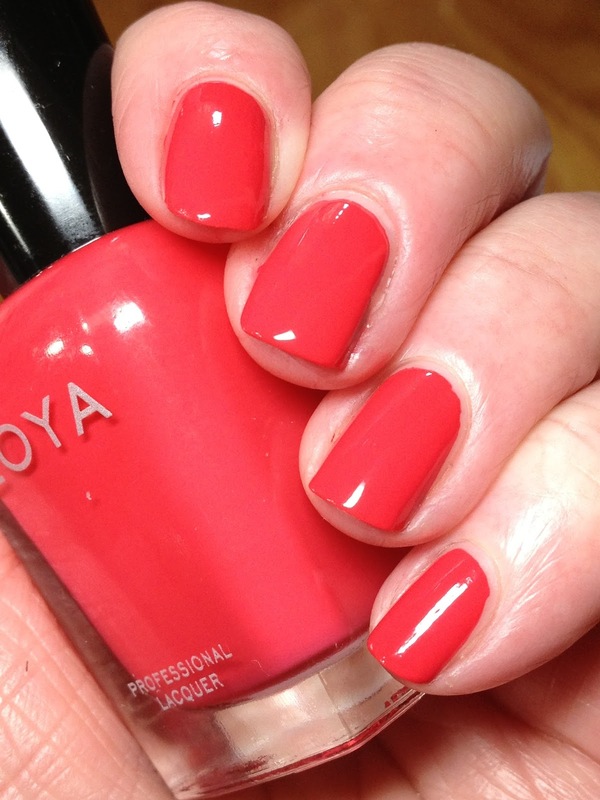 Started with a base of two coats of Zoya Sonia , no top coat. Stamped using images from Lesly LS34 (leaves) and Lesly LS52 (owls) using FunkyFingers Gesso. 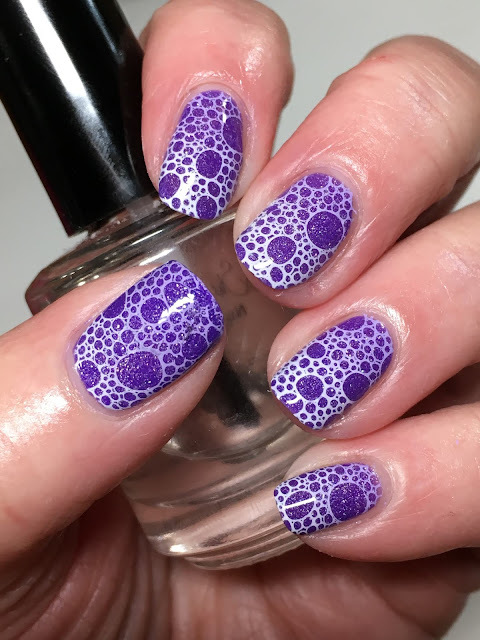 This was a Digit-al Dozen mani that I did as a recreation to a past mani but had enough mani's to share so it didn't make the cut during challenge week but am sharing now! 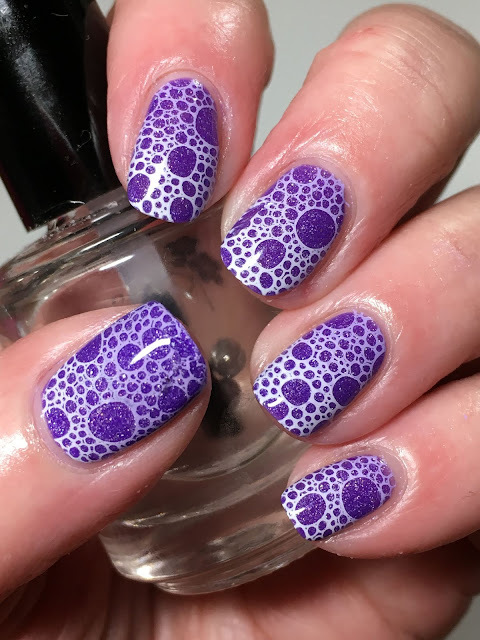 A pretty simple mani overall with some gradient stamping but overall, it didn't turn out too badly! Here's what I came up with! Started with a base of two coats of Picture Polish Royal, no top coat. 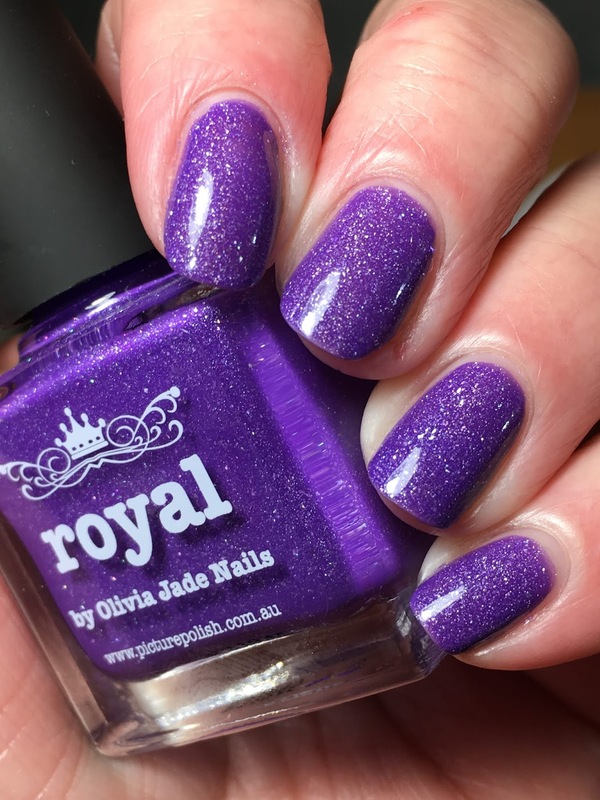 Picture Polish Royal is a blogger collaboration polish by Olivia Jade Nails who happens to be part of the Digit-al Dozen; a very talented blogger here. Er, um, maybe I should have shared this during Digit-al Dozen week; it would have been more appropriate! hahaha! I just love these Picture Polish scattered holographic polishes; great colours with added interest of the scattered holographic for just a bit of base interest, they glide on the nail with no issues and super easy to remove. Stamped using an image from Lesly LS52 using MdU 16 and FunkyFingers Gesso. Topped with KBShimmer Clearly on Top to finish. Disregard nudge on thumb; sometime between top coating and taking the pix, I nicked it someplace and it is slightly off at the free edge. So frustrating when that happens! I love wearing bright nails and wore these in the fall when the weather was overcast after wearing a string of more muted shades. I loved how they turned out and they certainly brighten my day! Started with a base of two coats of Girly Bits Hot Stuff, no top coat. Stamped using an image from Marianne Nails XXL 8 using FunkyFingers Gesso. I love bright nails and these were exactly what I was going for when I sat down and did them! 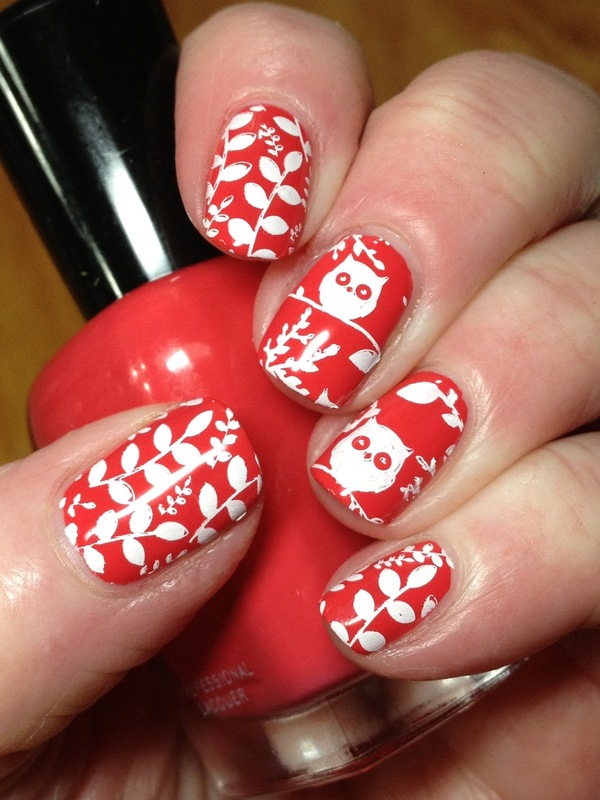 This was another Valentine mani that I didn't get around to posting. I could have squeezed it in but when I looked at it, I thought that it's one of those manis that could be posted anytime. And that time is now! Here's what I came up with! Started with a base of two coats of Picture Polish Muse. Please excuse my shorties and all the boo-boos. But I still do my nails! Muse had lots of shine even without topcoat, but I always add quick dry as it speeds up the process for stamping; added a coat of KBShimmer Clearly on Top. 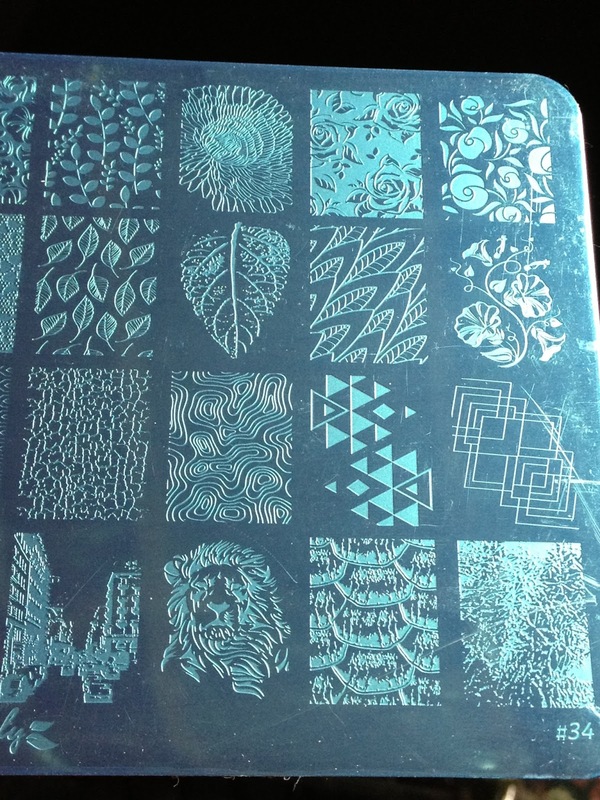 Stamped using images from Moyra No. 104 My Little Universe using MdU 1. I really liked how this turned out; just goes to prove too that you can do some really cool nail art on short nails! Hopefully you are having a good weekend; thanks for looking! 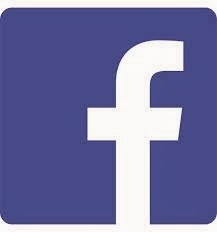 Are you a member of the Paint It Pretty Polish Facebook fan group? 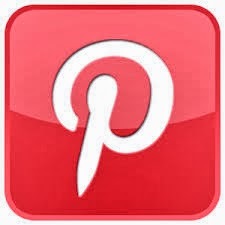 If you aren't already, please go here for your opportunity to name and win the March Paint It Pretty Polish! Sherri was good enough to send this beauty to me but it needs a name! Go, Go, Go now for your chance to name and win it! March's Paint It Pretty Polish** is a blue to purple to magenta multichrome with crystal chameleon flakes in pink and aqua and red/gold /green. Shown is three coats, no top coat. 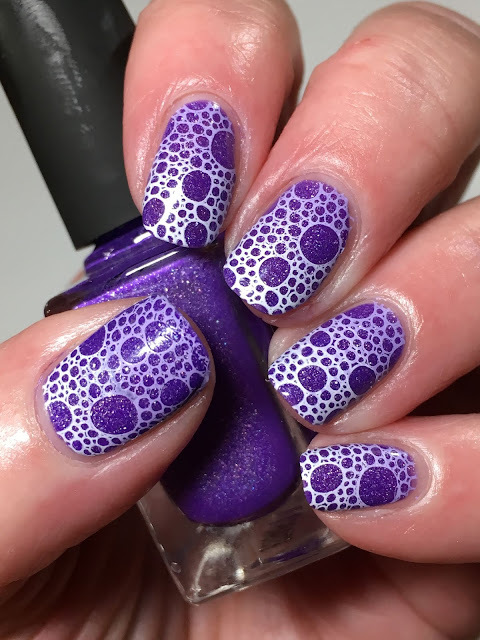 This is with a coat of KBShimmer Clearly on Top. There were no application issues; the flakes all laid down flat even with no top coat. Clean up was easy peasy and there were no issues with nail or skin staining. There were no issues with removal which is always an added benefit! 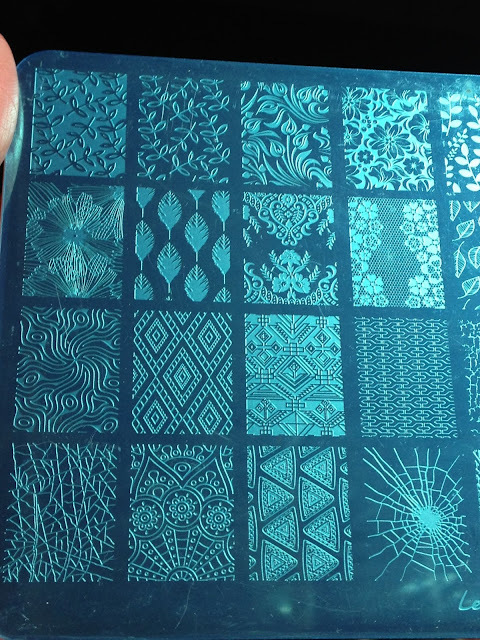 I did some nail art with an image that you could still see the pretty flakes shine through. 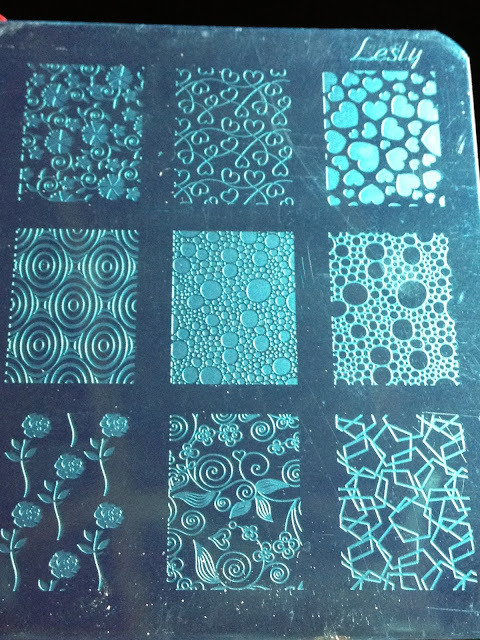 Used MdU 16 with an image from Lina Twirls & Swirls 01. 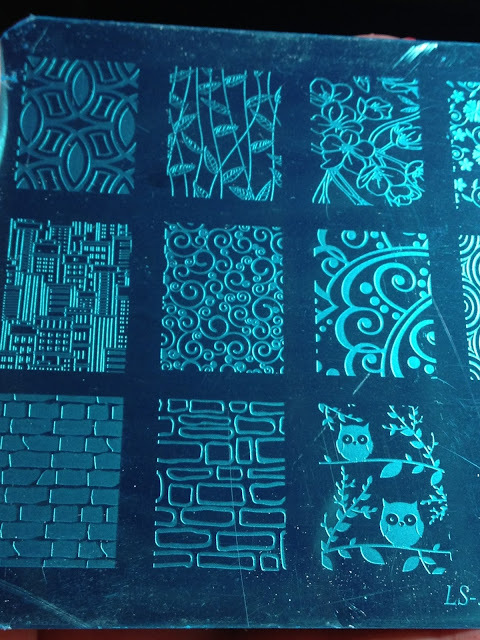 Added a few dots for interest using MdU 69. 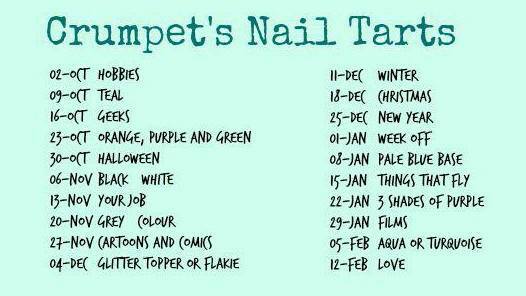 Flakes and matte go hand in hand; added a coat of My Indie Polish My Perfect matte. You didn't think I just did the thumb, did you? 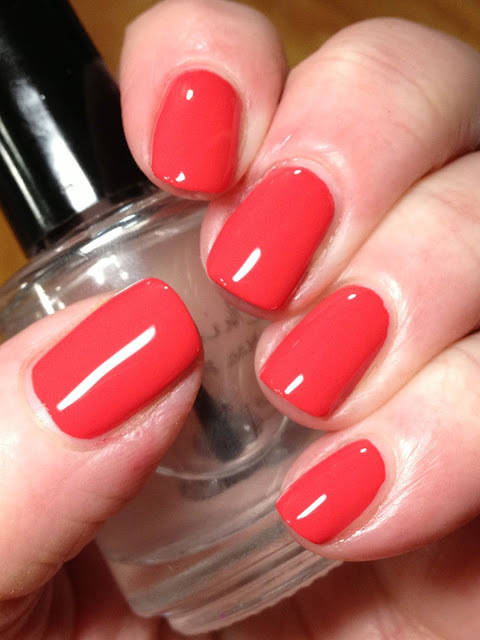 The March Paint It Pretty Polish will be available via the etsy store here from March 1-30th and will retail for $12! 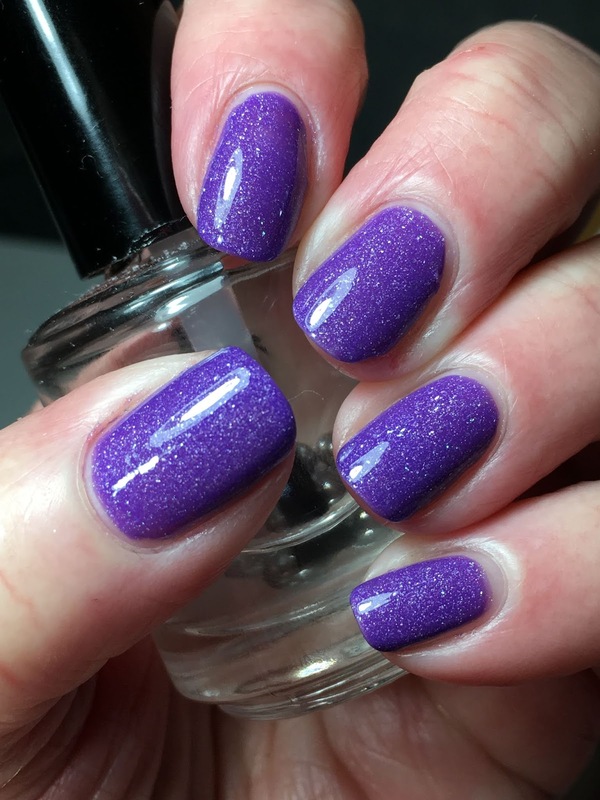 Please be sure to check out other swatches of this stunner in the Paint It Pretty Polish Fan group here as well as the Paint It Pretty Instagram account here! Thank you again Sherri for entrusting me with swatching your pretties! It is greatly appreciated! This was a quick and easy mani done with one of the mystery prototypes received from Different Dimension during the Black Friday sale. I didn't know which numbers to pick so chose the years of my kids birthdays and did pretty good with 1997! Here's what I came up with! Started with a base of two coats of Different Dimension Mystery Prototype 97, no top coat. Stamped using an image from Maniology (Bundle Monster) Special FX BM-XL456 using FunkyFingers Dark Knight. Maniology (BundleMonster) Special FX BM-XL456. We had a bit more snow last night so how about another snowflake mani? Unfortunately, my pictures (and poor cuticles!) don't do this mani justice as it was pretty cool when I was wearing them! Here's what I came up with! Matte! Like this version too! Started with a base of two coats of Sally Hansen Miracle Gel Beatnik, no top coat. Topped with one coat of Illyrian Magika from December 2018 PPU. I thought a coat of matte top coat would enhance the flakies so added a coat of My Indie Polish My Perfect Matte. For the final day of Digit-al Dozen texture challenge, I went with something not very typical for me as I don't use nail vinyls very often. I may have used them 3-4 times and with varying degrees of success. While these aren't perfect either, I do like how they turn out and they got me to thinking I should use nail vinyls more often! Here's what I came up with! Started with a base of two coats each of Pahlish Rusalka, Rusalka with accent of FingerPaints Midas Touch, no top coat. This is another instance when one good coat of the texture polish would have made the texture more visible as the second coat seems to lose some of the textured look. But I do love how Midas Touch was a pretty good match to the gold flakies in the Pahlish! After I did these base coats, I watched TV for an hour or so to give all fingers a good amount of time to dry as I knew I was applying nail vinyls. The last time I using nail vinyls, the base coat of the polish came off with the vinyl as they hadn't dried enough and I didn't want to run into that issue again! Topped the non texture nails with a coat of KBShimmer Clearly on Top. Applied nail vinyls to middle and thumb and then applied the opposite polish on the nail. I was having a brain freeze moment here as they both pretty much ended up looking the same even though they both had different bases but if I had any tip here, it would be to apply the texture on top of the non texture polish as it applied and worked better with the vinyls. The thumb has much crisper edges. Next time, I would also go a little lighter handed on applying the texture polish. I had painted a nail stud with the Pahlish Rusalka, Rusalka to make the mani all matchy-matchy; applied it to ring finger. Applied a final coat of KBShimmer Clearly on Top to the nail stud and maybe to the nails that didn't have texture polish on them (can't remember) to finish. After I took any final nail pictures, I did apply top coat to the ring finger to make sure the nail stud stayed on as I usually wear all my mani's at least for a day or so as I rarely just swatch or do nail art and remove; in fact, I wore this mani for 4 days as I was waiting for the owwie on my ring finger to heal a bit more (which is why there are the odd finger poses in the post). And that nail stud stayed on, no issues! Here's the other ladies day 5 textured mani's! Hopefully you've enjoyed all these textured nails this past week! As much as I love texture, I think it will be a little while before I reach for a textured polish again as I think I'm textured out, as least for the near future!